The following jobs can also be found in the bilingual paper Que Pasa. To post a job contact eva@latinmarketcommunications.com If you or your company are looking to hire diverse individuals please let us know. Green Hills area. Help needed with new baby at home and some housework. References a plus. Please call 428- 2620. Alive Hospice has been serving middle Tennessee for more than 30 years and our employees are committed to providing the highest quality end-of-live and palliative care available. We are looking for Registered Nurses for our Home Care Teams that have a current nursing license, 1 year of nursing practice and prefer Hospice, Oncology, or Home Health and/or long-term care experience. We provide competitive salary and excellent benefits. Apply online at www.alivehospice.org or call 615-327-1085. $11.50 /Hour plus commission, Candidates must have viable email account to receive correspondence from Human Resources Department, Provides inbound telephone support to our SPANISH and ENGLISH speaking customers via a proprietary computer system to customers experiencing technical difficulties and equipment problems in order to reduce service calls and improve customer satisfaction. 2.Initiates upgrade of current service and sell our products and services. 3. Communicates with Spanish and English speaking customers in order to respond to billing questions; resolves service concerns; provides rate and programming information. 4. Researches status of installation and service calls in order to resolve customer complaints; researches misapplied payments, billing and service adjustments. TMD Temporaries Pay: $9.00 - $12.00/hour. 2 years customer service experience or administrative experience, recruiting or human services preferred, ability to prioritize and work independently in a high volume, fast paced work environment, ability to work in team environment, ability to handle confidential and sensitive information, ability to interact and manage temporary employees with leadership and in a professional level. Full time. Contact Tracy Wolfe, 615- 399-5007. Handle routine financial transactions (deposits, withdrawals, advances, loan payments, merchant transactions, etc. and balances these transactions daily while ensuring a positive interaction with customers and non-customers. High school diploma, minimum one year experience handling cash and customer service. May be required to stand for long periods of time and lift boxes, bags of coin weighing up to 50 lbs. Basic reading, writing and math skills. Bilingual English/Spanish language skills a plus. Bilingual LPN/RN and Medical Receptionist positions available - Vanderbilt Children's Outpatient Clinic. The Children's Hospital Outpatient Primary Care Clinic at Vanderbilt is seeking a full time BILINGUAL LPN/RN to provide support to Nurses and Physicians. We are also looking for a Medical Receptionist who will provide excellent customer service to our families. Your fluency in Spanish as well as English, will provide invaluable for interacting with our patients, parents and family members during treatments or patient/family education. Must possess a current Tennessee LPN or RN license. Strongly prefer candidates who can write in Spanish and English and have a desire to work with children. Medical, dental, vision, retirement and tuition assistance provided. Interested applicants e-mail anya.lockert- young@vanderbilt.edu or call 615-343-1011. FRONT DESK POSITION AT WELLNESS CENTER. Rapidly growing chiropractic office looking for the right person to assist with patient care in the Nashville area. Must be people-oriented, high energy, organized and have the ability to multi-task. If you are looking for a career where you can make a difference not only in your community but in the world, please contact us at creatingwellnessfirst@gmail.com or call and leave your information at 1-866-504-3533. Resume's can be emailed to the address in this ad or faxed to 1-866-397-3478. Experience helpful but not necessary. Needs to be fully bilingual (write and speak)in Spanish and English. Must know computers. Compensation commensurate with experience plus bonus. 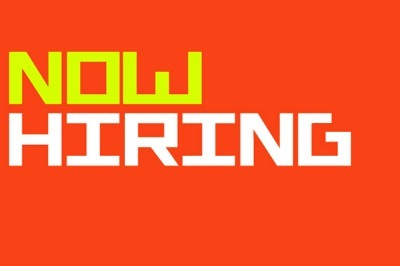 Please e- mail resume to drlawone@msn.com. SALARY: DOE/Q City of Franklin, reviewing engineering plans, assisting in planning, organizing and managing of City funded projects; performing engineering support to the Engineering Director in collecting and analyzing civil engineering data; supervising staff in reviewing criteria for various plans and administrative work; producing and maintaining maps and related files, and acts as technical resource for various departments, agencies and other groups. Bachelor's degree in Geographic Information Systems, Computer Science, Geography, or Engineering from an accredited college/university required with a minimum of five years of GIS, cartographic or civil engineering experience (or related); or equivalent. Valid TN driver's license required. Obtain application online at www.franklintn.gov or from HR Dept, City of Franklin, PO Box 305, 109 3rd Ave S, Franklin, TN 37065, telephone 615/791-3216, fax 615/791-3297, e-mail tracyh@franklintn.gov.